Travellers searching for an eclectic variety of entertainment should look no further than the Isle of Wight in 2019. Easily reached with Wightlink, visitors can be on the Island from Portsmouth in as little as 22 minutes when travelling by foot, and 45 minutes by car ferry. Once on the Island there is everything from family fun events to boutique music festivals. And with Wightlink offering 20% off travel for selected events, available to redeem on Wightlink’s events page, and a Kids Go Free offer during all school holidays in 2019, there’s no reason not to jet off to the Island in search of adventure. Kicking off in February half-term, Robin Hill Country Park’s award-winning Electric Woods event Spirit of the Orient will see a stunning fusion of sound, colour, illumination and delicious flavour come to life on the Island. Every evening from 15-23 February 2019, Spirit of the Orient will take place in an awe-inspiring celebration of the Chinese New Year. Kids can get into the spirit and take part in the interactive dragon procession or decorate their very own Chinese lantern. From 11-12 May, the fantastic discovery event Hullabaloo 2019 will take place and focus on the arts, community, and the environment through a combination of carnival parades and hands-on activities. Fun for all the family, the event will also include 20% off ferry crossings with Wightlink. There has always been great music on the Isle of Wight and 2019 will be no different. 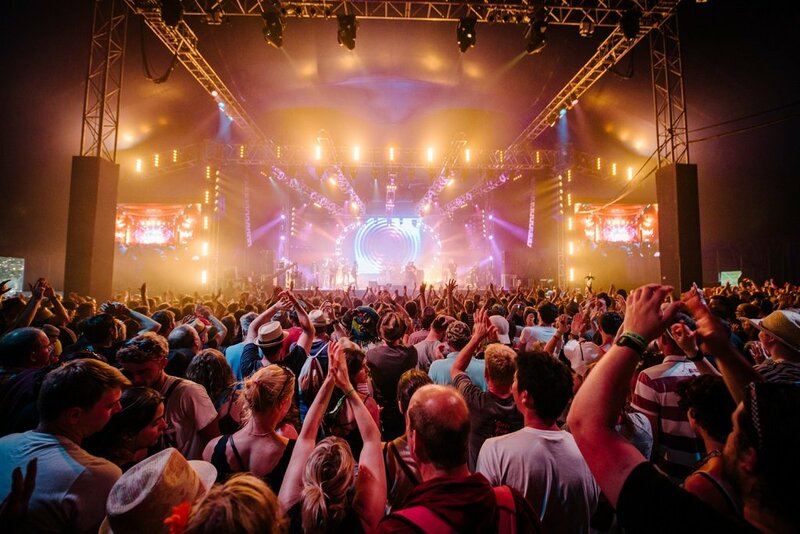 One of the country’s biggest music events, Isle of Wight Festival, will take place from 13-16 June and bring together some of the world’s biggest acts. Festival tickets will be going on sale soon and visitors can already book their ferries with 20% off on Wightlink’s site. The smaller and more boutique Rhythmtree Festival takes place from 12 – 14 July and is a family friendly event with a diverse range of music. Tickets are available on the Rhythmtree site and visitors can enjoy another 20% off ferry crossings with Wightlink. Lovers of 70s and 80s music are in for a treat with Jack up the Weekend. Taking place from 19-20 April, this exciting new spin off from the organisers of the hugely successful Jack Up The 80s festival will be a fun-filled and family-friendly extravaganza. And on the 20th July, visitors can head to Isle of Wight Pride to enjoy floats, food and performances – all set upon the Island’s glorious beaches. For those with the resolution to get fit in 2019, there are plenty of healthy activities on offer on the Isle of Wight. From the Isle of Wight Walking Festival, taking place the 4 – 19 May, to the non-competitive and free Isle of Wight Randonnee cycling event on 5 May, there is something for all tastes. Then on 28 September, visitors should prepare themselves to get muddy in the Muddy Bull Run. The new event is the Isle of Wight’s first ever cross country obstacle course where participants will get the chance to run, jump, climb and crawl their way through a gloriously messy course designed to test them to the max. Perfect for teams, it’s a great chance to bring a group across to the Island for an adventure together. The fun doesn’t stop there with even more fantastic events taking place throughout 2019. This includes everything from the Isle of Wight Garlic Festival and the Sweetcorn Fayre to the Mardi Gras and a Gothic Circus Festival. For more information on all 2019 events, visit https://www.wightlink.co.uk/do/events/. When travelling with Wightlink, guests can sit back, relax and arrive on the Island from just £14 as a foot passenger or £53 on the car ferry (based on a return ticket departing on 5th February). With deals throughout the year, travellers can look forward to a 2019 filled with music and entertainment with Wightlink. For more information and to book, please visit www.wightlink.co.uk. *Kids Go Free offer cannot be used in conjunction with other offers. Wightlink is the leading cross-Solent ferry operator carrying almost 4.5 million holidaymakers and Islanders across the Solent to the Isle of Wight every year. Eight ferries on three routes complete over 45,000 sailings a year, giving Islanders an easy and frequent service to mainland Hampshire, and tourists an accessible way to enjoy a taste of Island life. With seamless train connections to Portsmouth Harbour and Lymington directly to the Wightlink terminals, getting to the Isle of Wight could not be easier. Passengers can step off the train from London, hop on a Wightlink catamaran and be on the Island from just 22 minutes, while the car ferries take around 40 minutes from Portsmouth and Lymington. On board, passengers and drivers alike can relax in the lounges and enjoy some refreshments before arriving on the Island to enjoy the range of attractions, events and experiences that make the Isle of Wight a leading destination for tourists.